All connections in your schematic are present. Inappropriate connections are not made including short-circuits. Review the Edit Nets Dialog. Component orientation markings are clear and match markings on devices. Diode cathodes are on the pad next to the silk screen dot or line. DIP IC pin 1 is near the silk screen semi-circle. Quad IC pin 1 is near the silk screen beveled corner. Resolve Job | Analyze errors. Review all fields of Job | Parts List. View each layer separately and all together. Copper footprints are sized right for components. For integrated heat sinks check unmask layer. 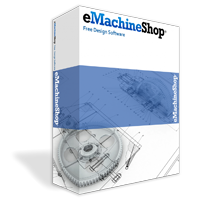 Export your layout to DXF to verify alignment if you plan to make a custom enclosure at eMachineShop. Check that each component complies with Pad2Pad assembly capabilities – only complying components will be assembled. You must advise us of any components that require non-standard soldering temperatures or durations. Soldering methods may include hand soldering with a soldering iron or automated assembly with solder paste and a reflow oven. You must advise us if you require accurate alignment tighter than 0.025″. Additional fees may apply. Four layer boards – select View | Layers. Then set checkmark next to “1st inner” and “2nd inner” to open a four-layer view and see the inner layers. Use the Window menu to select the original view or just close the layers dialog. Test or at least visually inspect the bare boards (four layer boards must be electrically tested). Assemble and test one board before assembling all boards. Test a board alone prior to placing the board into a system.